Samsung QN65Q7CN vs QN65Q7FN (QN65Q7CNAFXZA vs QN65Q7FNAFXZA) Differences : Any Reasons to Consider QN65Q7CN? 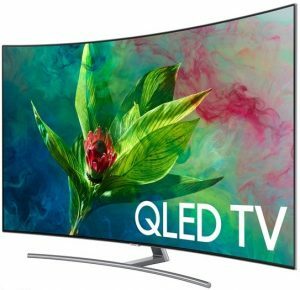 Talking about 65-Inch 4K UHD TV in 2018, We should mention Samsung QN65Q7CN (QN65Q7CNAFXZA ) and Samsung QN65Q7FN (QN65Q7FNAFXZA) as two choices that we should consider. Both of Samsung QN65Q7CN and QN65Q7FN are introduced by Samsung as part of their 2018 QLED TV series. Samsung QN65Q7CN is usually offered at the higher price than Samsung QN65Q7FN that means It’s positioned as the higher model. But should you choose Samsung QN65Q7CN as your choice? To answer that question, We need to talk about the differences between those two 65-Inch QLED TVs. Let’s talk about it together. What You Should Know about Samsung QN65Q7FN? 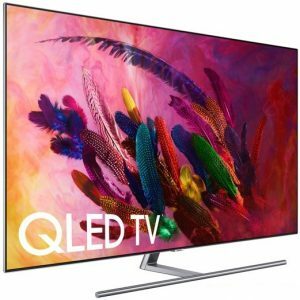 Before we can talk about the differences of Samsung QN65Q7CN and QN65Q7FN, we need to know the specs and features of those two 65-Inch QLED TVs. The key specs and features of Samsung QN65Q7CN and QN65Q7FN can be found on the table of comparison below. What are The Differences between Samsung QN65Q7CN and QN65Q7FN? We can talk about the differences between Samsung QN65Q7CN and QN65Q7FN after we look at the table of specs and features above. What are their differences? Let’s discuss that together. The key difference of Samsung QN65Q7CN and QN65Q7FN comes from their panel design. 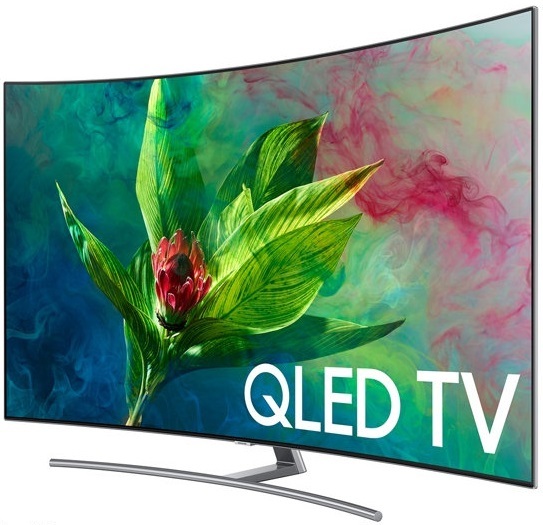 Samsung QN65Q7CN comes with curved panel design, while Samsung QN65Q7FN comes with flat panel design. Curved panel design is able to deliver panoramic watching experience, while flat panel only offers flat panel watching experience. With its curved panel, We can enjoy panoramic watching experience in Samsung QN65Q7CN. As they come with different panel display, We can also find that Samsung QN65Q7CN and QN65Q7FN come with different depth enhancing technology. Samsung QN65Q7CN comes with Auto depth enhancer for its curved panel, while Samsung QN65Q7FN comes with contrast enhancer as its flat panel screen. Auto depth enhancer and contrast enhancer are basically similar technology in functions. They both are able to bring greater sense of depth across the TV screen. Samsung QN65Q7CN is positioned as the higher model than Samsung QN65Q7FN. So we can easily guess that Samsung QN65Q7CN is also offered at the higher price than Samsung QN65Q7FN. But how about their price difference? As TV prices are changing from time to time, it’s recommended that you check the price of Samsung QN65Q7CN and QN65Q7FN before we can find their latest price difference. Any Reasons to Consider QN65Q7CN?